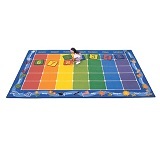 Find great deals on kids rugs in a wide variety of styles and sizes. 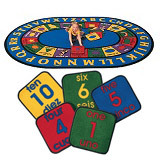 You won't find a better discounted selection of classroom rugs and carpets for children than at Worthington Direct. 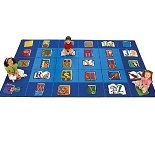 Whether you are looking for a rug for story time or a rug to bring your classroom to life, you can find it here at Worthington Direct. 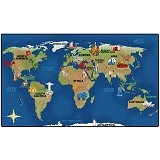 Your source for quality educational rugs. 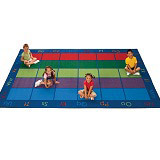 If you do not see the rug you are looking for here, please browse our entire Classroom Rugs section to see hundreds of more designs!